If you’re anything like me, trying new recipes is great fun BUT boy does all the joy go in an instance when the babes just won’t eat it. A mouthful in and the words “yuck” is my motivation killer. I know I am not alone in struggling with this because a lot of my health coaching clients are in the same boat, especially at brekkie time. Brekkie is that time that us mummas want to solve. 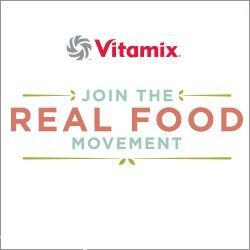 We want new recipes. We want new ideas. Because we know if we get the whole family eating well we’re in for a good day and our worries about the other meals and how much they’ve gobbled down is gone. That’s why I’ve written the ultimate breakfast cookbook full of fail-proof, kid-approved recipes. 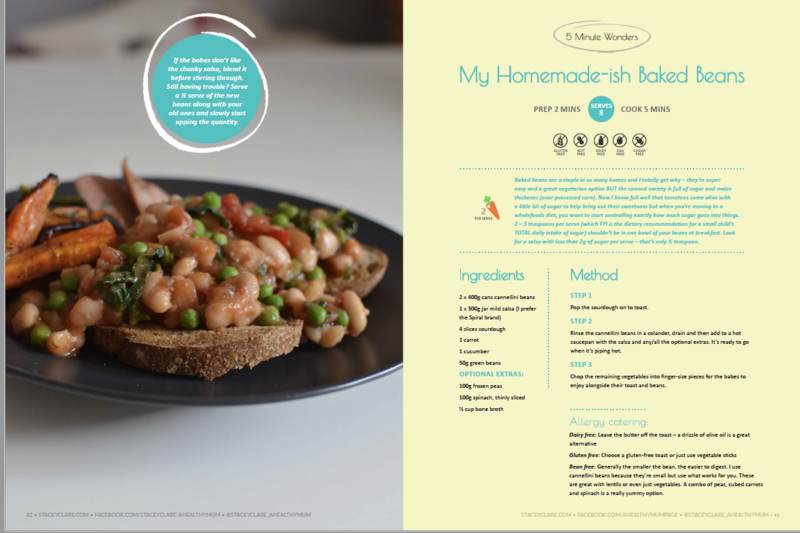 Every recipe in my new eBook ‘Stace’s Quick & Healthy Breakfasts’ my kids eat. Homemade-ish Baked Beans and Sausages – A jar of salsa, a tin or two of beans, greens and sausages in a pan and voila… Reasy in under 5 minutes. 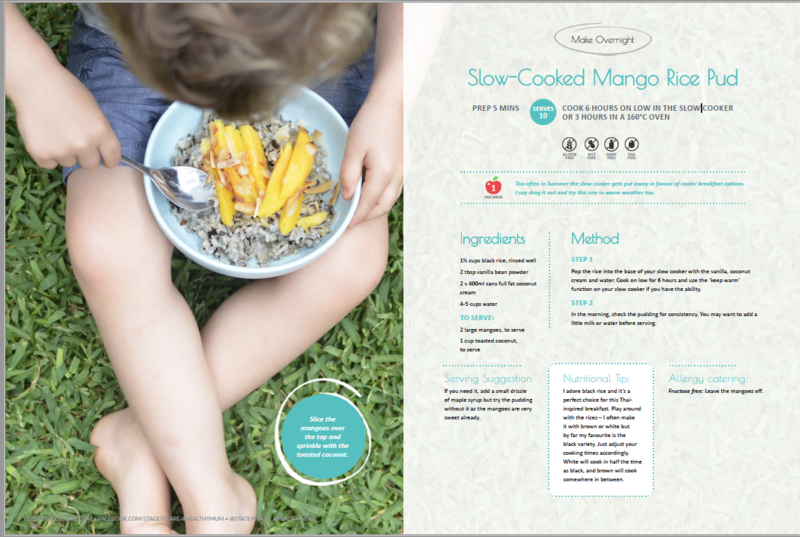 Mango Rice Pudding – Black rice pudding made with yummy coconut cream and covered with mangos. 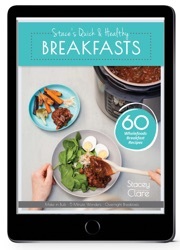 Perfect made overnight in the slow cooker while you snooze. 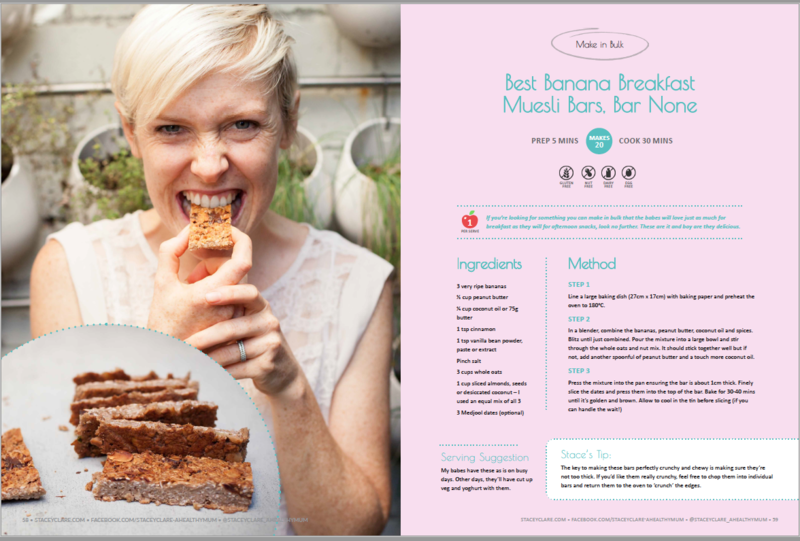 Banana Muesli Bars – Bananas mashed with oats and other pantry staples make a quick muesli bar. We make these in bulk and store them in the freezer for breakfast on the run. 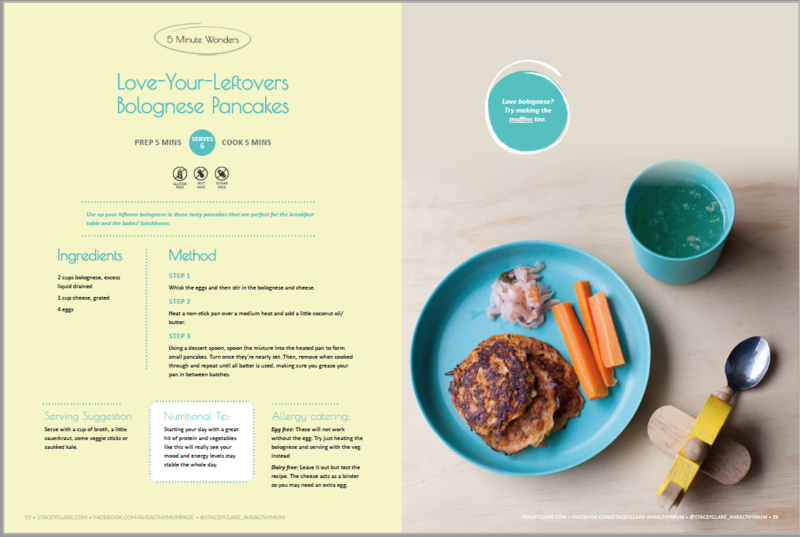 Bolognese Pancakes – I use up last night’s bolognese and make pancakes with a couple of eggs and grated cheese. I cut some veg for the side while the pancakes cook and brekkie is done. A perfect 5 minute breakfast. 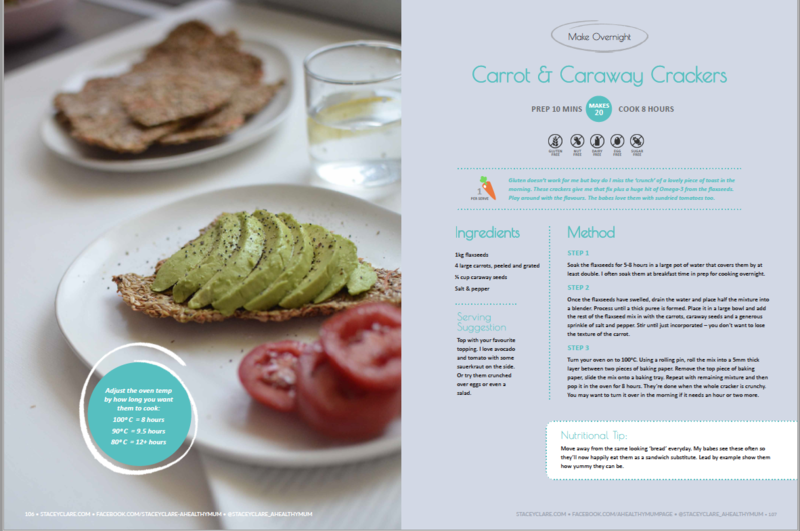 Crackers – We aren’t big bread eaters. I can thank my babe’s wheat intolerance for that. I make 4 ingredient crackers which our answer to bread. They have a bunch of hidden veg in them and the best bit? They cook on a really low temp in the oven while you sleep. The babes love these with mashed tuna and avocado on top. 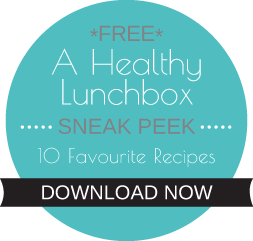 This eBook will be a game changer if you’re looking for some quick & healthy breakfast ideas that the kids WILL EAT.